When you think of Christmas, among the presents, decorations and popular songs and movies, The Nutcracker may pop up as a treat for those who like ballet. A trip to see this tale in the theatre is usually the first time that youngsters experience the grace of the dance form. 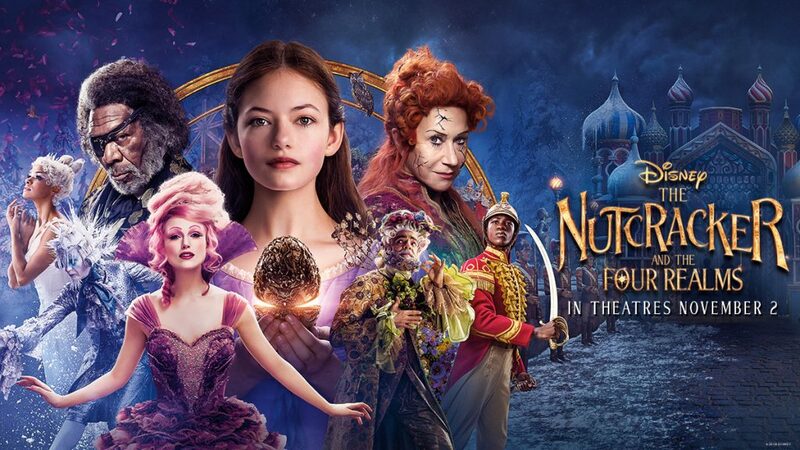 If you think that you will get the same cultural experience seeing Disney’s latest live-action feature, The Nutcracker and the Four Realms, you will be solely misstepped. Apart from a short sequence, ballet is the furthest thing you will find in this shambolic adventure. Clara is a young girl whose mother has recently passed away. As a Christmas gift, she is given a locked egg with a message that all the answers can be found inside, Invited to a party, Clara finds herself transported to a strange world where she discovers her mother was royalty and that Clara is the only one who can save everyone from a war within the four Realms. 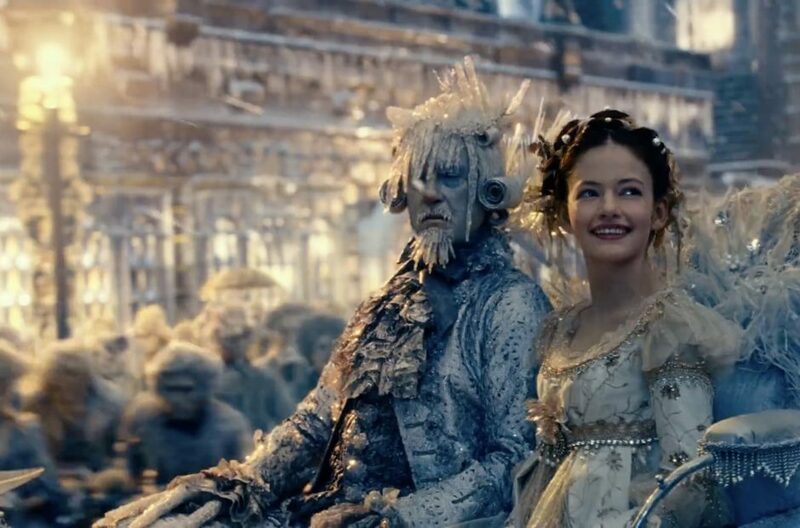 The Nutcracker, based very loosely on the book, should have been a magical Christmas film for the whole family to enjoy. With award-winning director Lasse Hallstrom on the helm, a filmmaker with a solid collection of work behind him, this should have you leaving the cinema dazzled by its magical sense of wonder. However, with Hallstrom sharing directorial duties with Joe Johnston, a director as far removed from the Swedish gentleman, due to Hallstrom unable to complete the reshoots, this is often a messy, incoherent and unexciting affair. Mixing the classic tale with Chronicles of Narnia, The Wizard of Oz and Harry Potter, Clara’s adventures in a world created by CGI effects so becomes uninviting as she meets characters who don’t exactly ignite the screen. It’s as if we’ve been here before and in much better ways too. The Mouse King, a giant creature made up of hundreds of mice, is a terrifying creation that younger children may find far too intense and scary, while the rest of the characters lack any sense of fun and joy, something the film is in desperate need throughout. Mother Ginger, the leader of one of the realms, lives in a giant robotic representation of herself that have freakish clowns as sidekicks. Only during the one scene where we get to witness a beautifully choreographed ballet led by Misty Copland, does the film come even close to be a wondrous Christmas treat. Young Mackenzie Foy as Clara does a solid job as the heroine of the piece, refusing to bow down to any of the peril she faces, while cameos from the likes of Jack Whitehall, Omid Djalili and Richard E. Grant raise a smile. Morgan Freeman is, well, Morgan Freeman and Helen Mirren is wasted as Mother Ginger. Only Keira Knightley as Sugar Plum Fairy, with her candy floss hair and helium-sounding voice, inject any real fun with an over-the-top performance, unlike anything we have seen from the actress before. The Nutcracker and the Four Realm should have been a real family treat for the coming season. Instead, it is unimaginative and sometimes incredibly dull. Disney is a studio that has prided itself on being magical. There is very little magic here and like this year’s A Wrinkle In Time, this could be another dud from a studio that, in other areas, is at the top of its form.